Now located in a busy retail intersection with more than four times the size of its previous incarnation, The Bicycle Stand—Long Beach’s only bicycle shop dedicated to ground-up restorations of classic steel-framed bikes—has a new, improved, and bigger home—and it’s less than a half-mile from where owners Evan Whitener and Nicole Maltz first turned their passion for vintage steeds into a business two-and-a-half years ago. Whitener and Maltz first opened The Bicycle Stand in a 700 sq. ft. storefront on Broadway just west of Cherry Ave. as a way to put their life’s motto, “Be happy, ride a bike,” into practice. They started out buying and re-building old European bikes—from Pugeot to Raleigh— and created a rich social network presence snapping photos of happy customers and their restored rides. 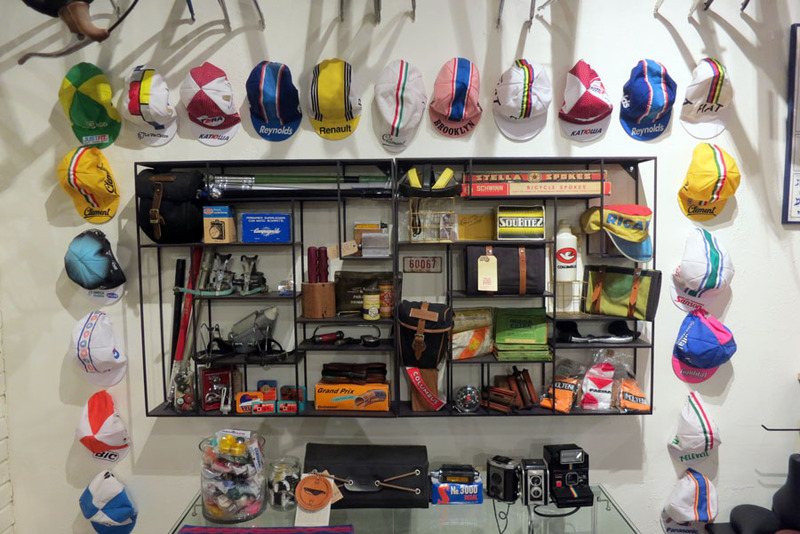 Quickly, however, the pair found that their old-school aesthetic, friendly service and ideas for how to make bikes function in everyday life was useful to an even more diverse community of riders, many of whom were looking for new products and locally made accessories as well. “We operate very democratically. Our customers dictate what we carry in the shop,” says Whitener. At the request of regulars—who range from commuters to aggressive riders to collectors to cruisers—The Bicycle Stand began to carry new bikes from Linus, Bianchi, and Brompton as well as accessories like baskets, racks, and hats. As their inventory and breadth expanded, however, the smaller their shop became, forcing inventory onto the sidewalk and their occasional swap meets into the adjoining empty lot. When they heard from a friend that Goosefire Gallery and High Priority Glass were moving to Orange County, Whitener and Maltz jumped on the opportunity, and before the “For Rent” sign went up, they had signed a lease on their massive space. 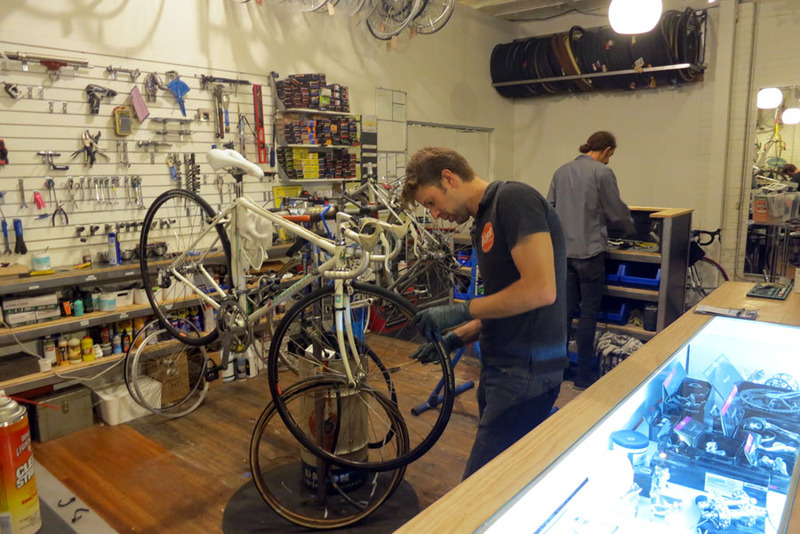 After a quick three-week buildout, The Bicycle Stand reopened in its new location on May 31, which allowed them to expand everything from their retail operation to their racing club. 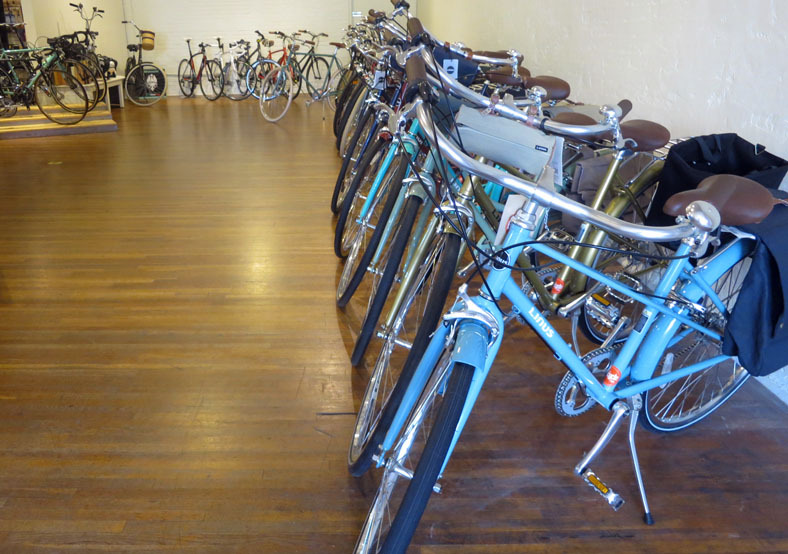 The exposed-brick foyer is filled with vintage bikes that Whitener claims are “waiting for love” and a portion of their new-stock bicycles are now available for daily rentals. The shop’s twice-weekly rides will continue and branded cycling gear is on the way too, making The Bicycle Stand more than just a repair shop that also sells bikes—it’s a community hub and lifestyle boutique bursting with all kinds of two-wheel appreciation. The Bicycle Stand is now located at 2740 E Broadway. They are open Monday through Friday, 11AM to 7PM, and weekends from 10AM to 7PM.